It's an abandoned eyesore that cuts through the heart of Seoul. But under the guidance of Dutch architect Winy Maas, an aging 1970s bypass is set to become a stunning urban garden. 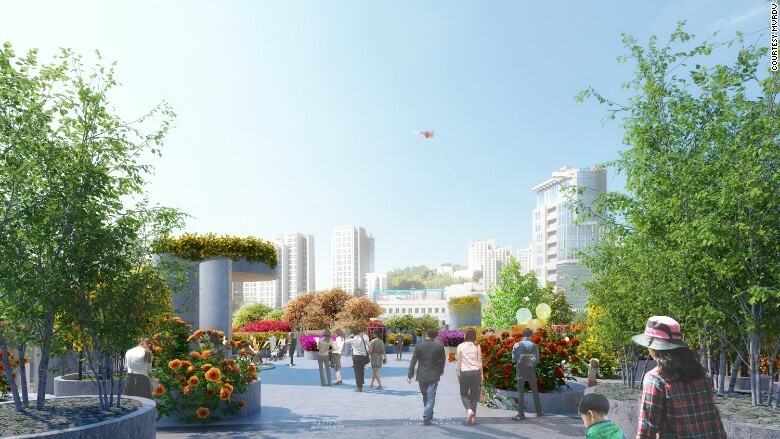 Touted to rival New York's hugely popular High Line park, the Seoul Skygarden will stretch for nearly a kilometer and feature 254 types of trees, shrubs and flowers from across South Korea, alongside performance spaces, tea cafés, a library of plants, flower shops, street markets and greenhouses. The South Korean capital is a concrete-heavy city -- skyscrapers, gray bridges and wide boulevards abound. Regeneration, however, is afoot. In the early 2000s the Seoul Metropolitan Government began a movement to introduce eco-friendly, green spaces in the city. Seoul is also at the forefront of the "smart city" movement, aiming to merge technology with urban development. The appetite for innovation makes Seoul more open to creative urban projects. 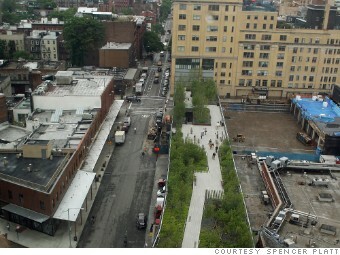 Touted to rival New York's hugely popular High Line park, the project is the brainchild of Dutch archiect Winy Maas. Consider the Cheonggyecheon Stream: once a neglected and polluted stream hidden by an elevated highway, it has been uncovered and transformed into an urban oasis for Seoul's 10 million-strong population. Plans to revitalize the stream first emerged in the early 2003 under then-Seoul mayor Lee Myung-bak. It initially attracted criticism, but since the finished project opened in 2005, it has become a popular destination for residents and tourists alike. 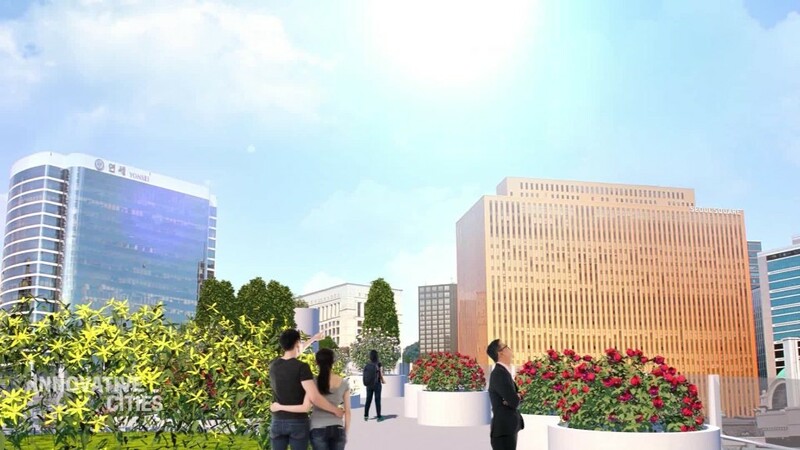 The Skygarden -- which will cost $33 million to build -- is planned to open in April 2017. The plants will be selected soon and then the planners anticipate six to eight months for development. The project has been solely financed by the Seoul Metropolitan Government. Maas envisages his project like "an octopus" -- its tentacles providing "the starting point for further greenification of the environment" to make Seoul "more social, open and accessible." New York's High Line opened in June 2009. This former 1930s railway is now one of the city's most popular green spaces. The developers hope the Skygarden's legacy will last a lifetime. "We don't see this project lasting only 10 or 20 years. We expect 50 to 100 years," said Lee Sang Hun, who is sourcing the Skygarden's thousands of trees, flowers and shrubs. Kim Joon Kee, Seoul's deputy mayor of safety management, explains that while Seoul normally tears down its old roadways, the city chose to regenerate this one -- which had been closed for structural reasons since 2006 -- as a symbol of urban progress. "This overpass has special meaning because it represents Seoul's modernity ... after 30 years of use it has become worn down. We saw an opportunity for the city's development."